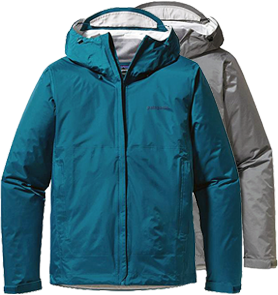 The Torrentshell Jacket by Patagonia is styled for MEN and WOMEN — a Performance Standard 2.5-layer nylon waterproof/breathable hard shell for seriously wet weather. 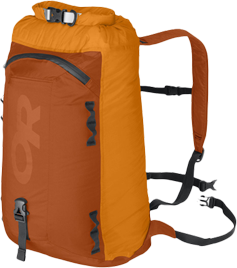 This top quality Dry Peak Day Pack by Outdoor Research is an ultralight, weatherproof bag that weighs a mere 9 ounces and protects gear from "the wet!" This Adjustable Air Mesh w/ Chin Strap hat is Cool! With UV ray sunblocking protection & great air flow and ventilation, it is "today" and it is cool! Tilley Expedition & Walking Socks are the most comfortable socks you'll ever wear! Specifically designed for walking and hiking, they're warm in the winter, spring, and fall, and quite comfortable in the summer. 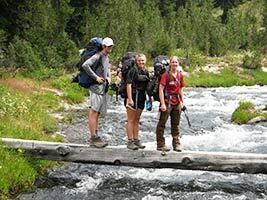 We can't wait to trek with you and want you to have an incredible, meaningful and fun trip! Having spent years in the Outdoor Industry, we know that being properly attired for this journey is the only way to be able to enjoy it to the fullest. So, to help you get ready to go, we have partnered with New Headings to provide you with select performance products from leading brands like Patagonia, Outdoor Research, Smith Optics, and others. We know you'll appreciate the care with which we selected this unique collection of gear, gifts, and Wildland Trekking branded items. To begin shopping, click on any category you see or call New Headings toll-free at 1-888-924-2050 and ask for Peggy, Marcy, or Mark for personal assistance. We wish you safe, frequent, and fun travels!